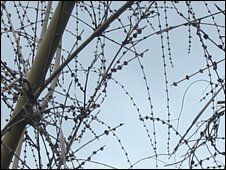 There is a type of bamboo in the north-eastern state of Mizoram which flowers only every 48 years and, as Neil McCarthy reports, the blossoms spell disaster for the local people. 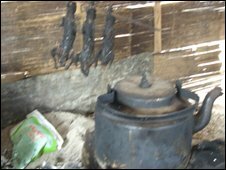 There is a nocturnal sound Mizoram farmers dread. Some describe a wind, some a powerful engine moving through the insect-buzzing night. Others speak of a cutting, tearing sound made by armies of small scythes. When day breaks their eyes take in the sight: entire fields of crops, that took months of hard work to prepare after slashing and burning the jungle, all laid waste. It is a sound they were told about by their grandparents and which returns, like clockwork, every 48 years. It is the sound of Rattus Rattus, the black rat, that feasts and swarms, bringing ruin and revolution to this faraway corner of India. 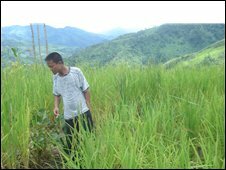 Amid the lush vegetation clinging to the uncountable hills of Mizoram - land of the hill people, the Mizos - are clumps of brown poles, decaying and being swallowed up by the hungry jungle. They are actually a species of bamboo which fruits, flowers and dies every half-century. It happens to be the favourite food of the rat and when its flowers rain down on the forest floor, the rat population explodes. Instead of the usual one in a litter of 12 pups surviving, in this time of plenty all 12 will survive and will all be breeding themselves within a few months. Up in the hills, along endless twists and turns, with road signs asking drivers to "be gentle with my curves" I was taken to the conveniently named village of Ratu, sadly blighted by the rats. J. Rothanga, a broad-smiled agricultural officer, was dashing out there with rat poison for farmers under siege. Having finished the bamboo flower, the rats have moved onto the crops. We trekked across moonlit hillsides and could make out strange lines in the fields where the rice had stood tall but was now gone, the rats working as if in military formation. 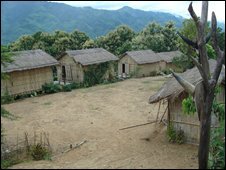 Lying in a bamboo hut on my first night I was woken by the sound. For me it was like giant rain drops. 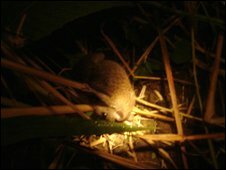 I clambered out at about four in the morning to see tall stems of rice quiver in the moonlight and then drop to the ground, followed by furious munching and squealing. The rats - or sazu as they call them here - were passing through the field. Beyond it, serpents of silver cloud slide through the valley below and the fields, carefully carved out of the jungle, lie still on the hillsides. It is hard not to be swept away with the notion of an agrarian paradise. But those sleeping fields are alive with unseen rats and famine is tightening its grip on the village. As I recorded them with a microphone looking a bit like a satellite dish, which homes in on faraway sounds, the thick cloud crept up from below, infused with silver moonlight, enveloping me and the hillside. Suddenly hungry rats sounded very close indeed, very loud in my headphones. Was that a long tail which just slid past my foot? I had strayed from the hut, but dashed back as quickly as I could, suppressing a large shudder. As dawn breaks Mr Rothanga meets an assembly of Ratu farmers. They want rat poison. It is fairly ineffective and dangerous, but they are desperate. The village leader, a retired soldier still wearing his beret, talks about the difficulty of waging war on the unpredictable rats. It is so much easier fighting a human enemy, he tells me. Mr Rothanga chips in that they are on the warpath now. Whether 'they' meant the rats, or the humans, I wasn't sure. The military connection is significant. During the last bamboo flowering, in 1959, rats also swarmed, but the Indian central government ignored all warnings of plague and famine, dismissing the Mizos as a superstitious lot. People's suffering fuelled a nationalist insurgency and 20 years of guerrilla warfare until Mizoram achieved statehood. Those same jungle warriors are now in top political office in Mizoram, mindful of the unfolding famine and its far-reaching consequences. 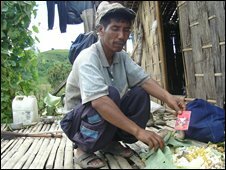 But Pu Rem, a farmer out on the Ratu hillside, is hungry and weary. He has already lost one of his two fields to the rats and they have started attacking his other one. He has been losing sleep, worrying about whether the rats will come each night. His faith is not placed in the government, but in God. For some in this Christian state the biblical aspects of the plague and famine come to mind. Others see it as a magical event: tens of thousands of rats suddenly appearing, ransacking and disappearing at night, as if they had flown in, unseen. Either way, most Mizo villagers are resigned to the fact that this is a destructive natural phenomenon they will just have to ride out. 48 years from now, those old enough will remind the next generation that the sudden mysterious flowering of the bamboo heralds the return of Mizoram's most unwelcome visitor: Sazu, the rat. And nothing is likely to get in its way. From Our Own Correspondent was broadcast on Saturday, 25 October, 2008 at 1130 BST on BBC Radio 4. Please check the programme schedules for World Service transmission times.